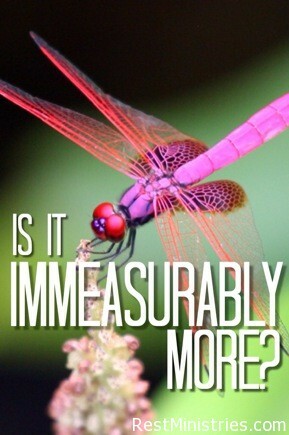 What Does Immeasurably Beyond Imagination Look Like? While some of our prayers begin with crying out to God, we gain so much by praising Him! Julie asks if starting prayer with laments is becoming a habit. “Because Your love is better than life, my lips will glorify You” (Psalm 63:30). Consider this: When you pray to God, are the majority of your requests about you and your comfort? Certainly, God wants us to pray for things that are concerning us, but more than that, He wants us to desire Him more than anything He could give us on this earth. More of Him, less of ourselves. Do we start your prayers by praising Him for who He is and for His wondrous works? Or do we begin by asking for things for ourselves? I’m not a very eloquent person, and I cannot even express my feelings as to how wonderful God is in prayer. I know how I feel, but I have trouble finding words worthy of proper praise to God. But there are so many verses in Psalms as well as other books of the Bible that do express what I am feeling. I start my prayers to God with praise from verses in the Bible. It not only pleases God, it really makes the devil angry–double benefit. Psalm 8:9, Psalm 18:2, Psalm 27:1, and Psalm 100:5. You may be thinking, I think God already knows those verses. Yes, He does, but He would like to hear them from your lips, from your heart. Or you can just express to Him what is already in your heart. Prayer: Lord God in Heaven, You are awesome and more wonderful than my limited mind can even imagine! You are the Great I Am, and You deserve praise and honor. I love You with all of my heart. Amen. 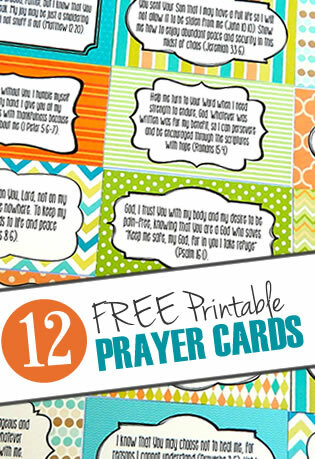 Can you find more verses to bring praise to God in your prayers? Filed Under: Coping Skills, Devotionals, Joy, What's New? 2 Responses to What Does Immeasurably Beyond Imagination Look Like?